This is the story of a small home-made dome type Astronomical Observatory that was designed, built, equipped and commissioned during the period 2014 /2015. It is hoped it might inspire others to take on a similar task and as much detail as possible is given in an attempt to make it easier to follow the steps in its construction. While admitting that my design has borrowed extensively from those of others like John jblockyou who have themselves built beautiful observatories of their own and while thanking these masters for their help and generosity in providing freely detailed photography and explanations on various forums I am in turn presenting you with my version. The form, size and structure of the observatory was in many ways dictated by my local situation, the size of the OTA setup, budget and the availability of hardware and useful recyclable material. 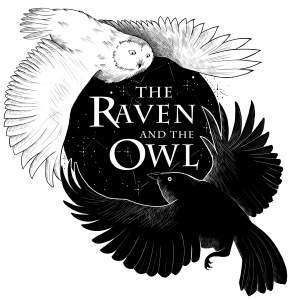 The title of the Observatory was chosen in commemoration of two men who greatly enriched my life, namely the Raven, my father and the Owl, my uncle Joe who both passed away in the month my project started. They also represent two constellations Corvus, seen from the southern hemisphere and Noctua in Hydra that sadly, like Joe, is now defunct. The decal above was the art work of my daughter Lisa Falzon, a very talented digital artist with a great following on the web. Next Post Genesis of an Observatory – how it all began.